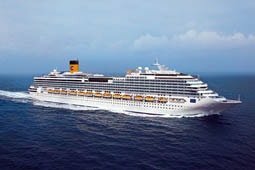 You’ll have a comfortable stay in your home away from home aboard the Costa Pacifica. 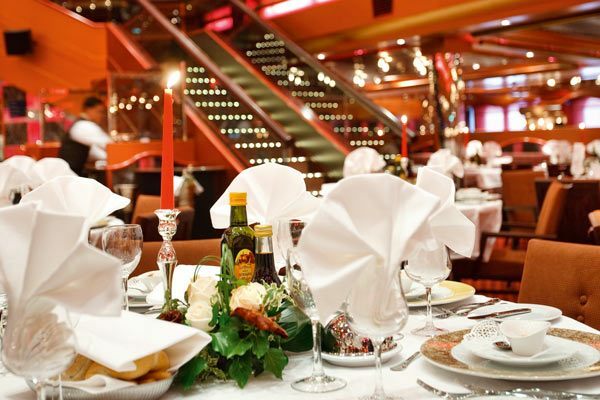 Tastefully appointed cabins and suites are elegant, spacious, and offer all the amenities you could need — and then some. 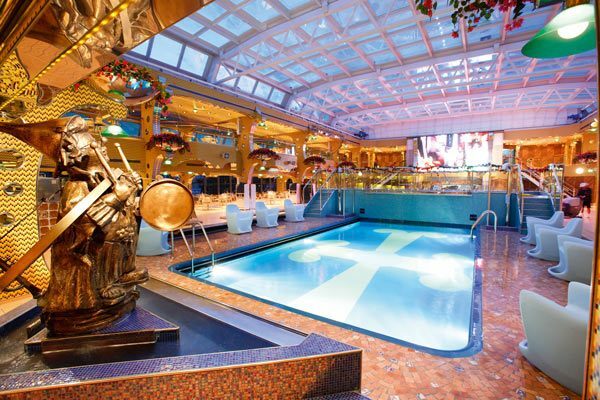 This ship also sports five hot tubs and four pools, including two with retractable covers! 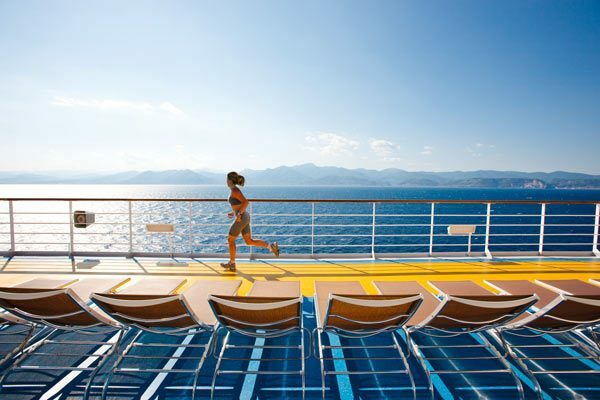 That means you’ll have plenty of space to enjoy yourself, whether you’d like a rigorous swim or a decadent dip. 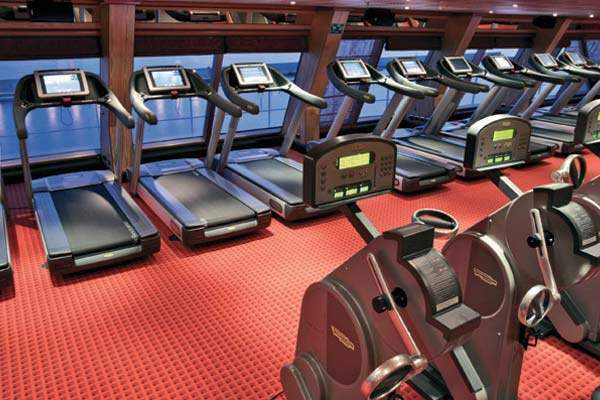 The wellness center aboard the Costa Pacifica is an oasis at sea. 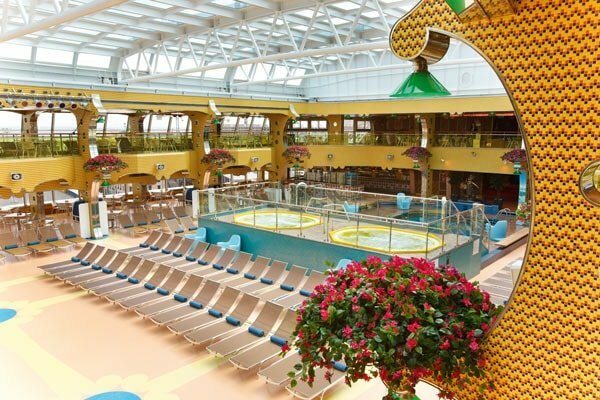 Filled with light, the solarium is a peaceful place to rest and daydream about your next adventure. 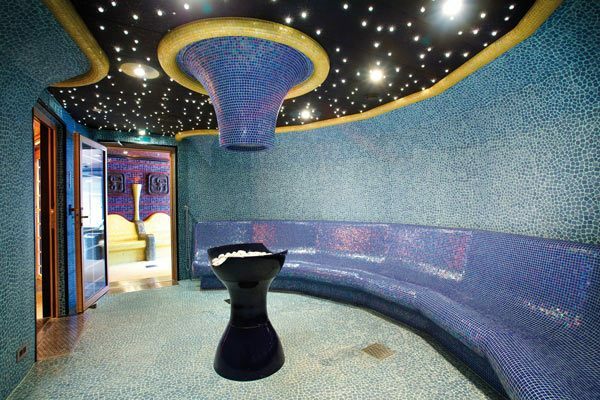 Or head to the sauna or restorative thalassotherapy pool. Love fine art? 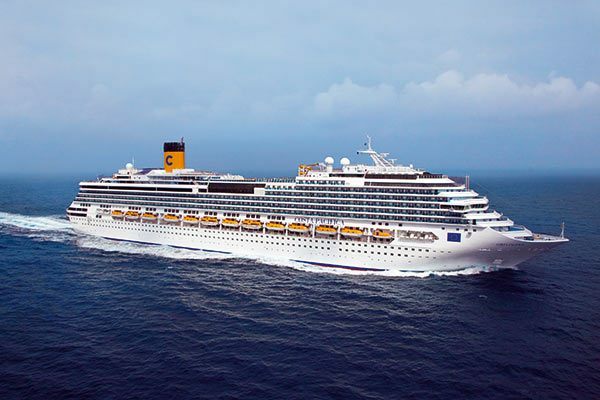 Enjoy its abundance aboard the Costa Pacifica — all 308 original works and 5,929 prints! 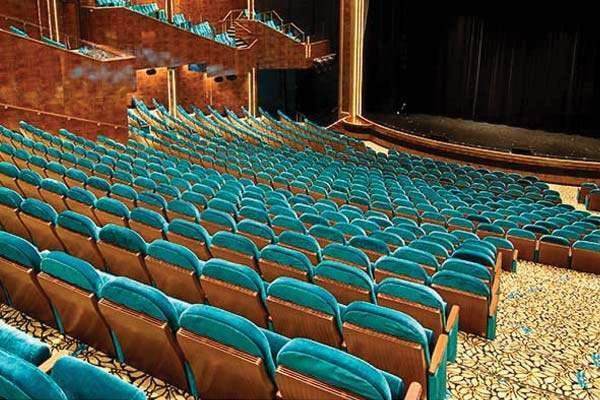 If you want to see a show, revel in the Vegas-style extravaganza at the three-story theater. 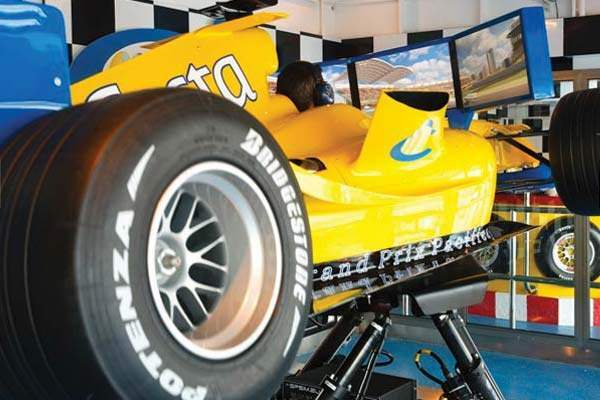 Or get a different kind of thrill in the Grand Prix Simulator! 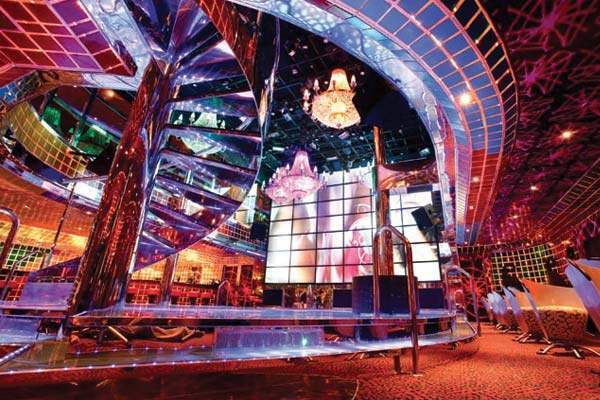 Casino Flamingo is on deck 5 of the ship. 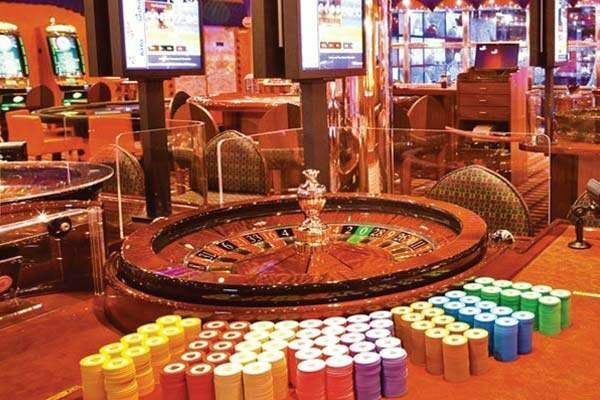 It features a number of slot machines, games tables and roulette wheels and hosts a range of tournaments from bingo to poker and blackjack. 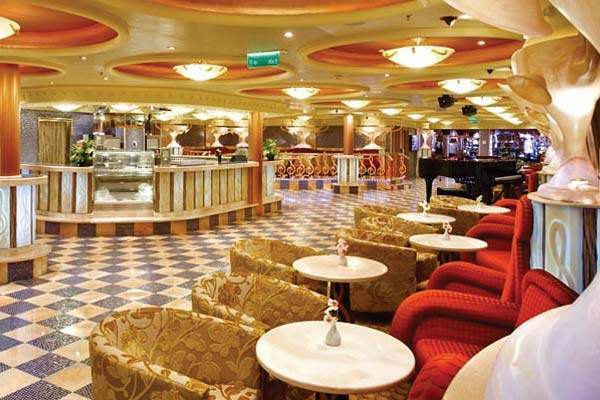 The casino is only open whilst the ship is at sea and under 18's are not allowed in the area. 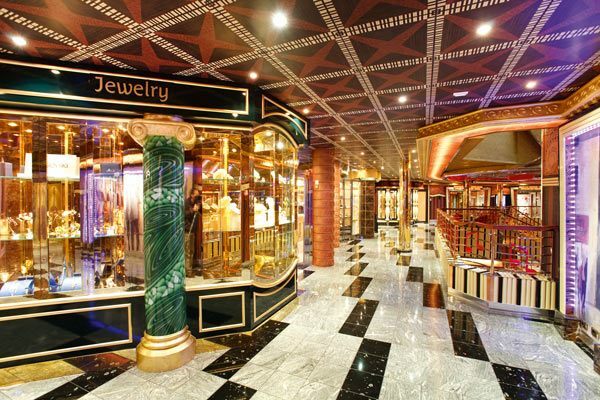 The Galleria shops are located on deck 5. 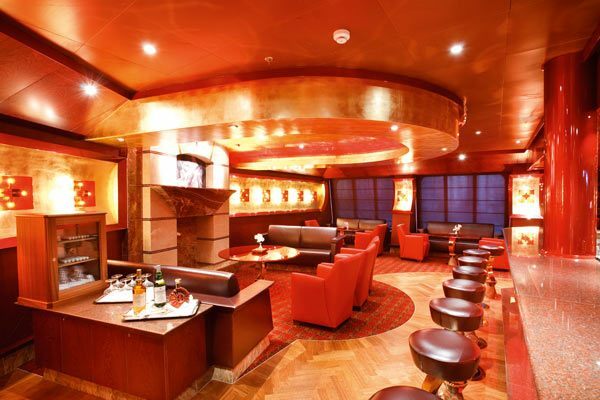 Merchandise ranges from perfumes, sportswear and jewellery to duty free shops selling spirits, cigarettes and cigars and toiletries. 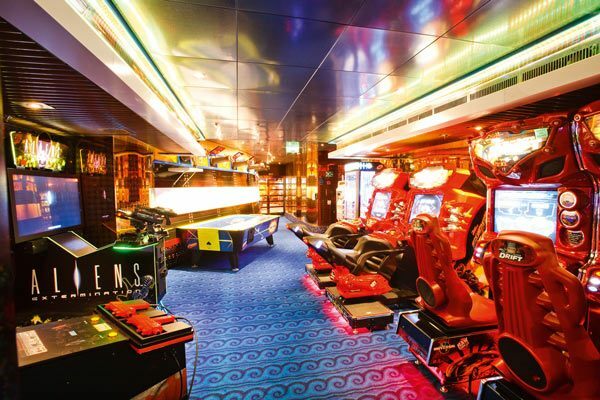 Mondo Virtaule on deck 5 is home to a virtual arcade games room and PlayStation world. PlayStation World features large padded chairs and PS3 games consoles featuring the latest video games. PS3 on demand is also available. 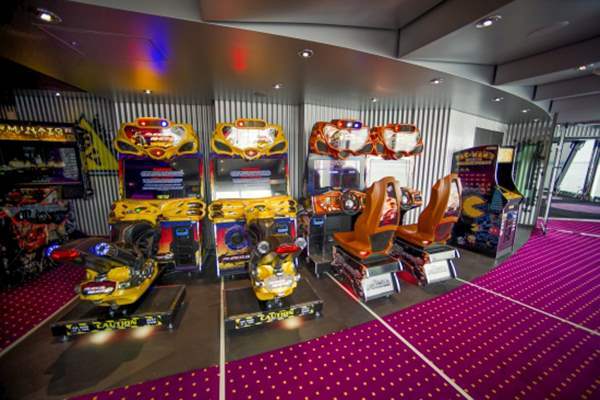 The ship has three PS3 consoles along with a selection of games which can be hired for use in cabins for as long as desired (charges apply). 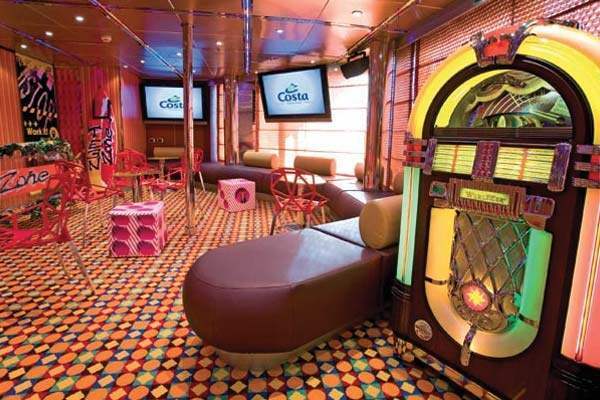 Additionally the ship hosts PlayStation Nights on the large outdoor screen overlooking the Lido Calypso pool. 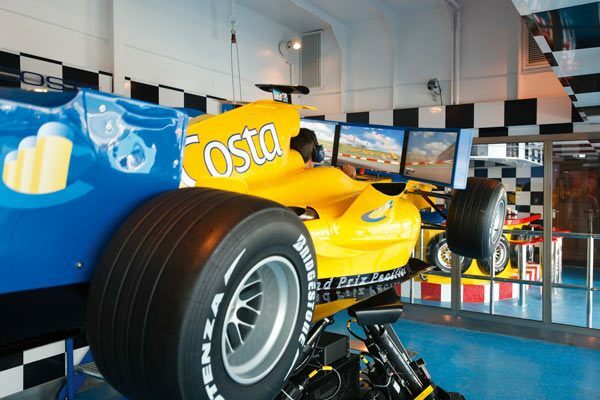 The Scuderia Costa, located by the Scuderia Costa Bar on deck 12, is a Grand Prix Simulator featuring a single seater formula one car that passengers sit in to experience driving real Formula One cars round tracks designed around some of the best circuits in the world. 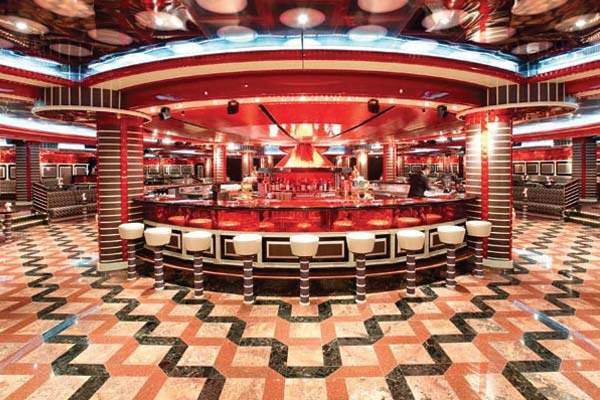 Piano Bar Rick's can be found on deck 5 of the ship. 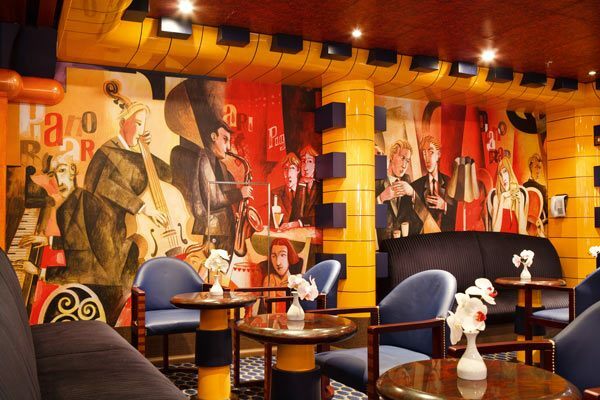 It is one of the ship's smaller bars featuring live piano music to listen or sing along to. 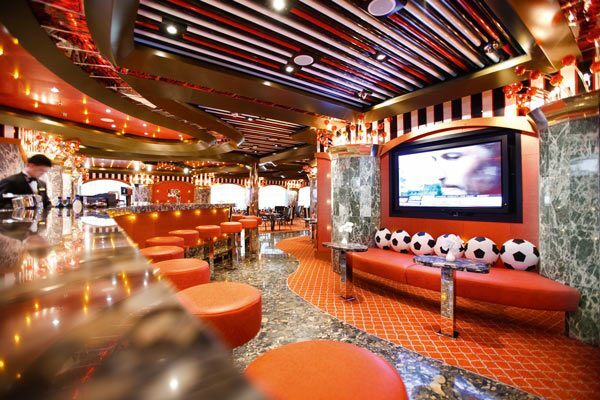 Bar Sport Route 66 on deck 5, is the ship's sports bar with overhead TV screens airing various sporting events. 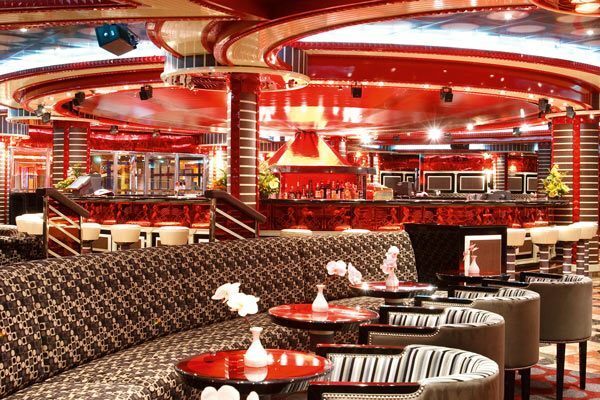 Salone Around the Clock on deck 5, is a large lounge with its own dance floor, stage and bar with live music entertainment. 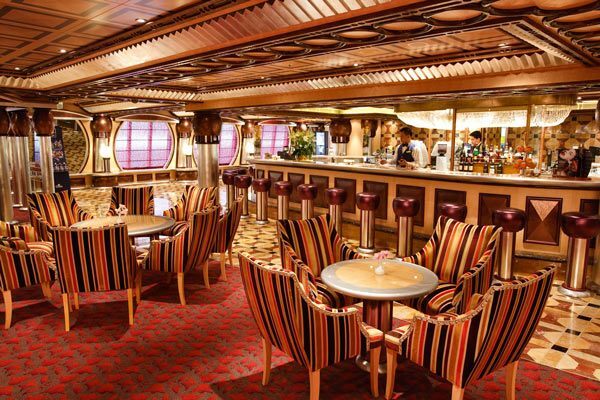 Bar Classico Ampola on deck 5, is the ship's small Cognac and Cigar bar. 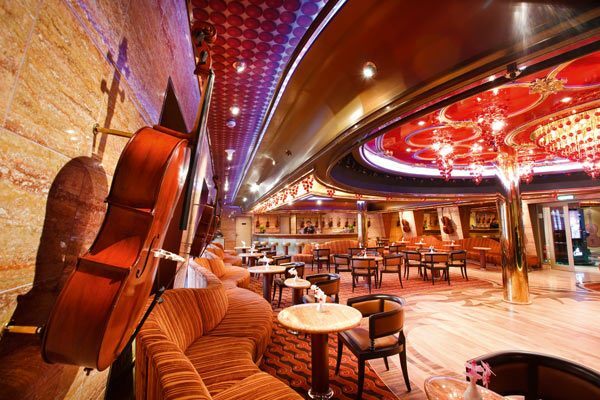 Grand Bar Rhapsody on deck 5 has a large bar, dance floor, stage and seating area. 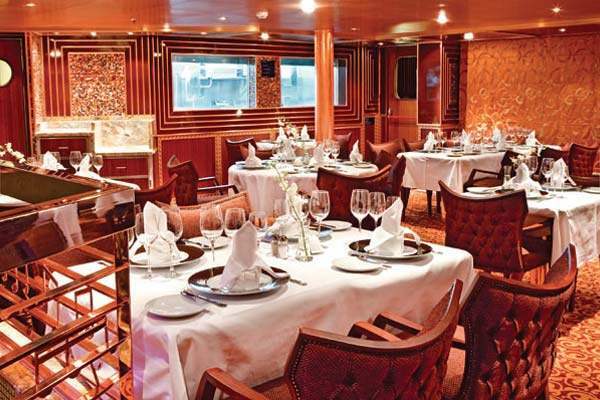 Ristorante My Way is the ship's two tier forward formal restaurant, located on decks 3 and 4. 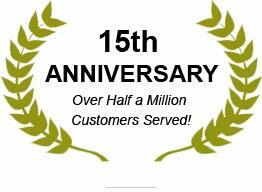 Fixed seating options of either 6.30 or 9pm are available. The restaurant serves a selection of appetisers, starters, main courses of meat or fish (vegetarian options available along with special dietary requirements), side dishes, salads and desserts. 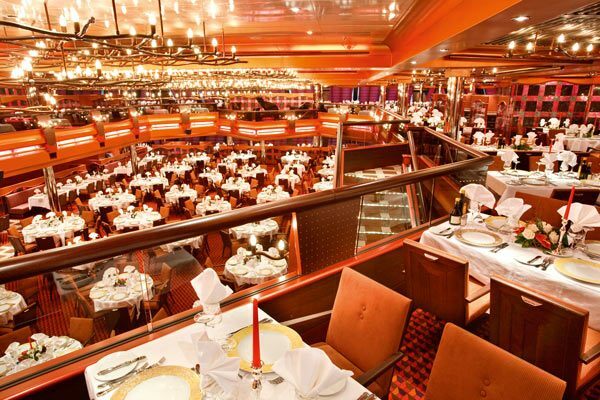 Ristorante New York New York is the ship's two tier aft formal restaurant, located on decks 3 & 4. 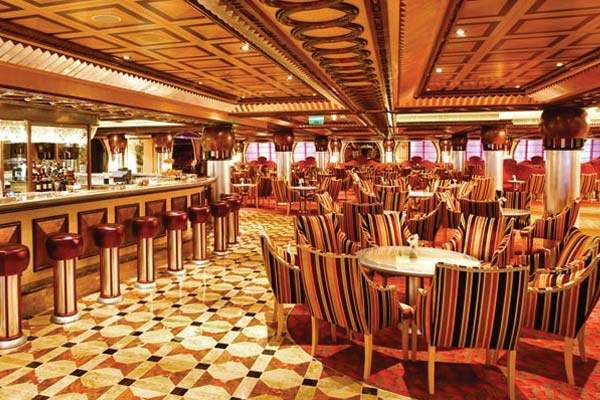 Breakfast and lunch are both served here with open seating. 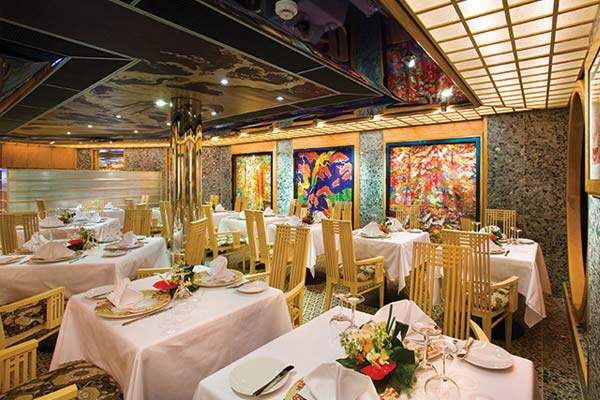 Fixed seating options of either 6.30 or 9pm are available for dinner. 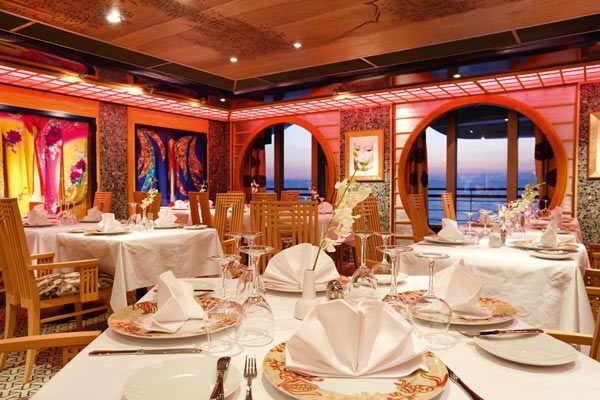 The restaurant, in an evening, serves a selection of appetisers, starters, main courses of meat or fish (vegetarian options available along with special dietary requirements), side dishes, salads and desserts. 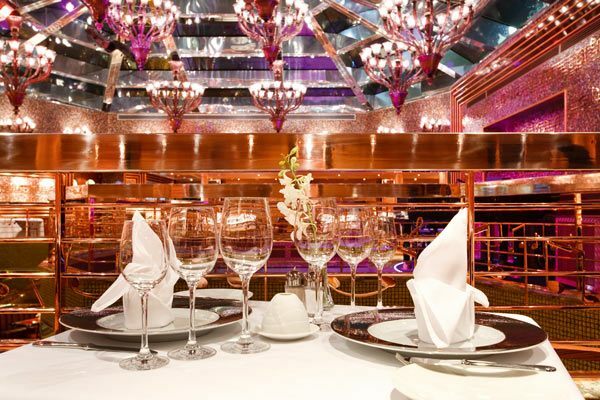 Club Blue Moon on deck 11 is the ship's a la carte club reservation-only restaurant. 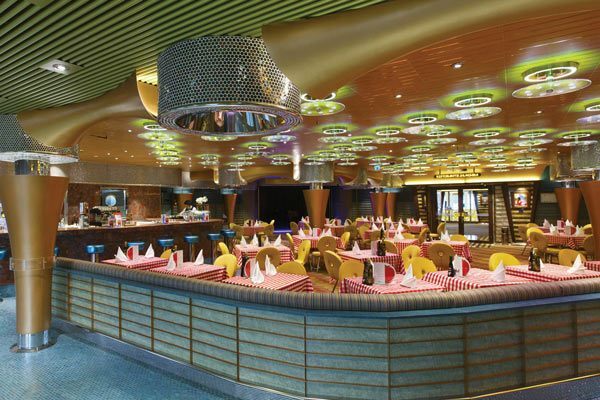 The Pizzeria on deck 9 forms part of the Ristorante Buffet La Paloma, serving a selection of pizzas. 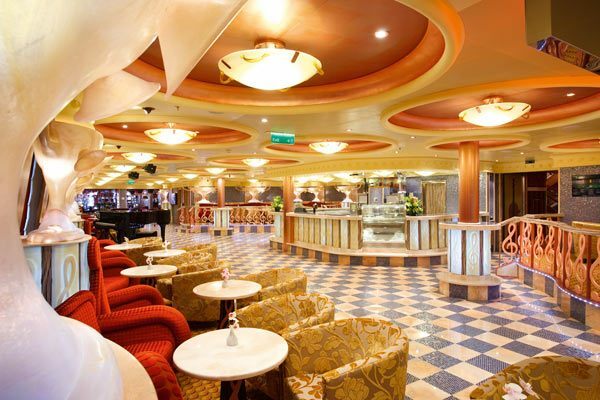 Ristorante Buffet La Paloma, located on decks 9 and 10, is the ship's casual restaurant open for breakfast, lunch and dinner. 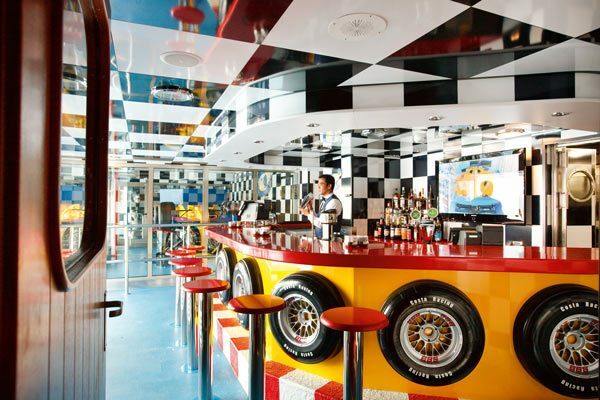 In addition to the Pizzeria within the restaurant, food on offer ranges from chicken and beef burgers, hot dogs and pasta, to salad, antipasto, desserts and fresh fruit. 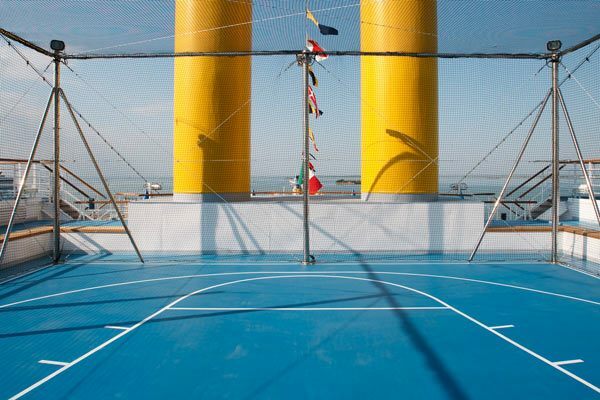 Centro Benessere Samsara is neoRomantica's 4400 sqm spa, overlooking the sea. 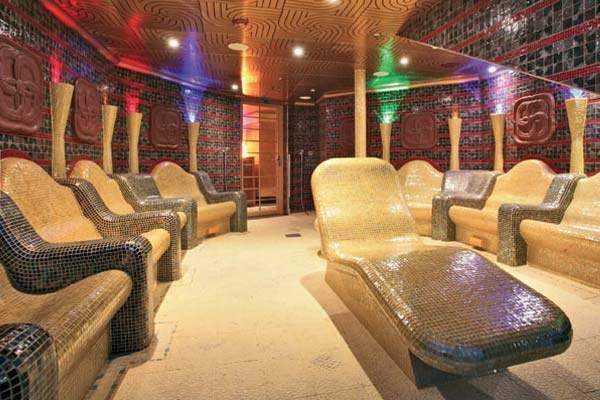 The spa includes the following:- Large two level Thalassotherapy pool which massages aching limbs with jets of warm mineral rich sea water. 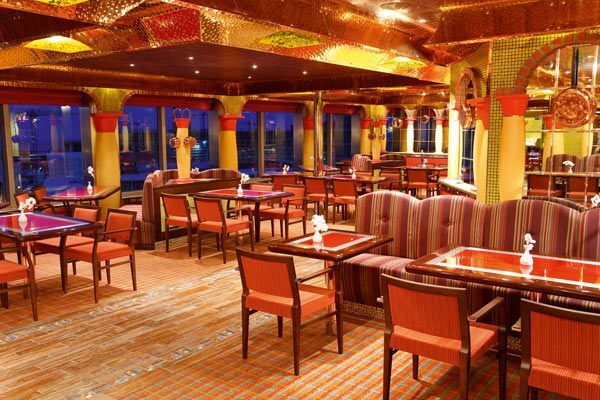 The upper level provides a seating area whilst the lower one is for standing. Turkish baths Two saunas Tepidarium (heated ceramic loungers) Laconium (similar to a sauna but more gentle heat) Aromatic steam room Treatment rooms offering range of treatments from hot stone massages to mud wraps UVA solarium Japanese tea house Guests in Samsara cabins and suites are entitled to two treatments of their choice, two fitness or meditation classes, two visits to the tanning centre and entry to the thermal baths area, thalassotherapy pool and relaxation area. 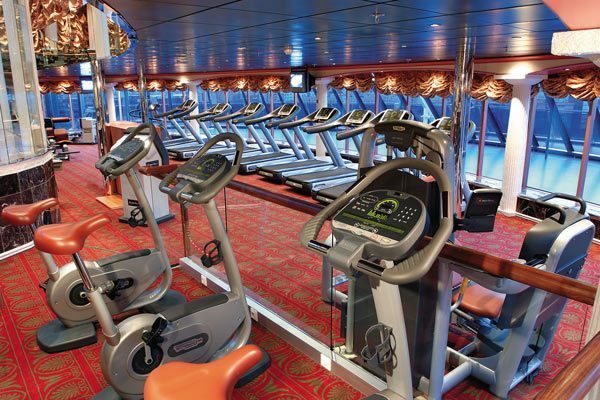 The gym is open all day and is located on deck 11 of Samsara Spa. It features a range of cardio-vascular and weight training Technogym equipment along with a qualified trainer and an area for fitness classes ranging from aerobics (free of charge) to pilates (10 euros per class). Under 16's are not permitted to use the gym equipment. 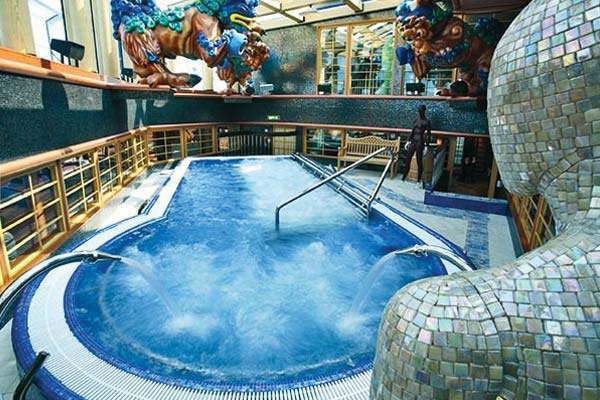 Costa Pacifica has a total of five Jacuzzi Hydro Massage Baths. 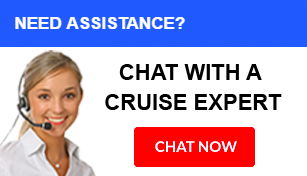 They are located by the ship's three main pools as follows:- Lido Ipanema (2 jacuzzis) on deck 9 Lido Calypso (2 jacuzzis) on deck 9 Lido Bamba (1 jacuzzi) on deck 11. 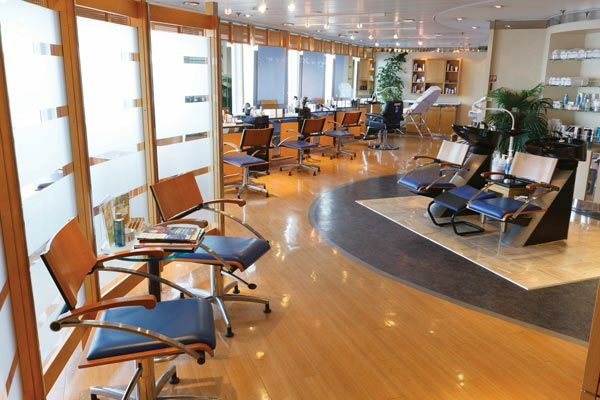 Venus Beauty is located on deck 11 and is the ship's unisex salon, offering a variety of services from manicures and pedicures to hair cuts and styling. 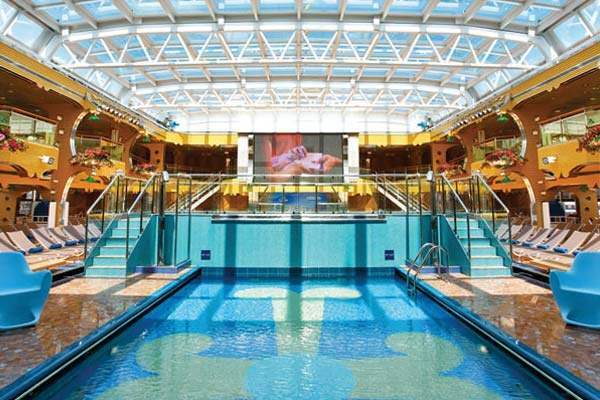 Lido Calypso pool on deck 9, is protected from inclement weather by the ship's retractable glass roof and features a grill area and bar and is flanked by the ship's giant screen airing a variety of music and sporting events. 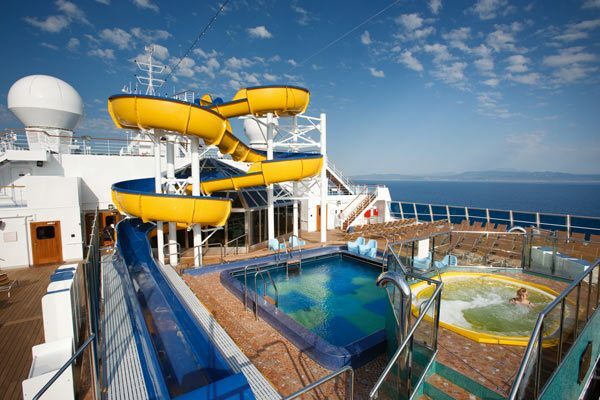 It also has two jacuzzis by it. 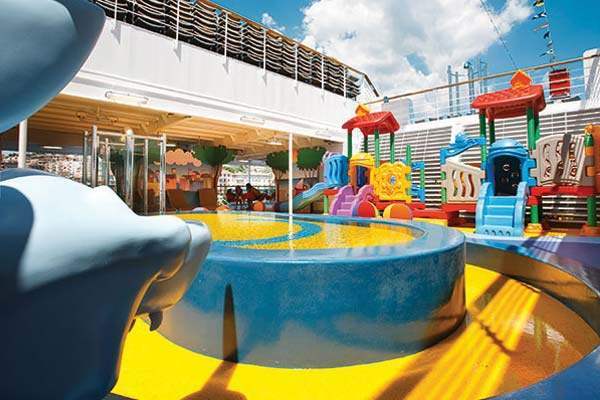 The Lido Bamba pool is on deck 11 of the ship by the exit of the slide and has its own jacuzzi. 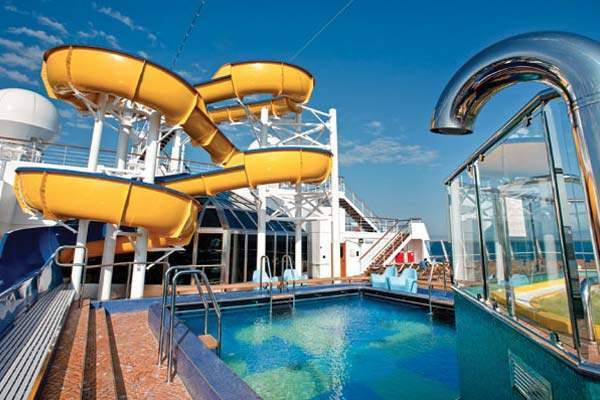 The ship's waterslides entrance is on deck 14 and it spirals down to its exit on deck 11 by the side of the Lido Bamba pool. 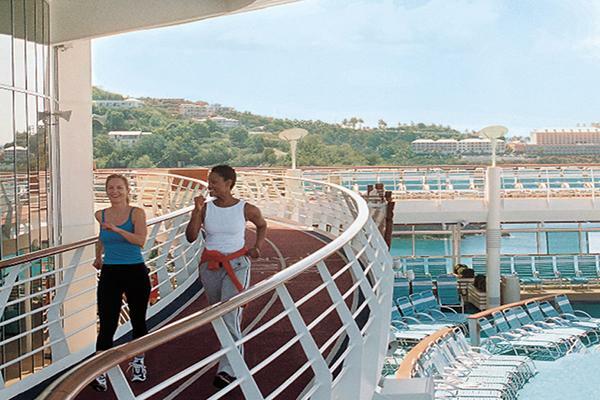 Pista da Jogging on deck 12 is the ship's outdoor jogging track.